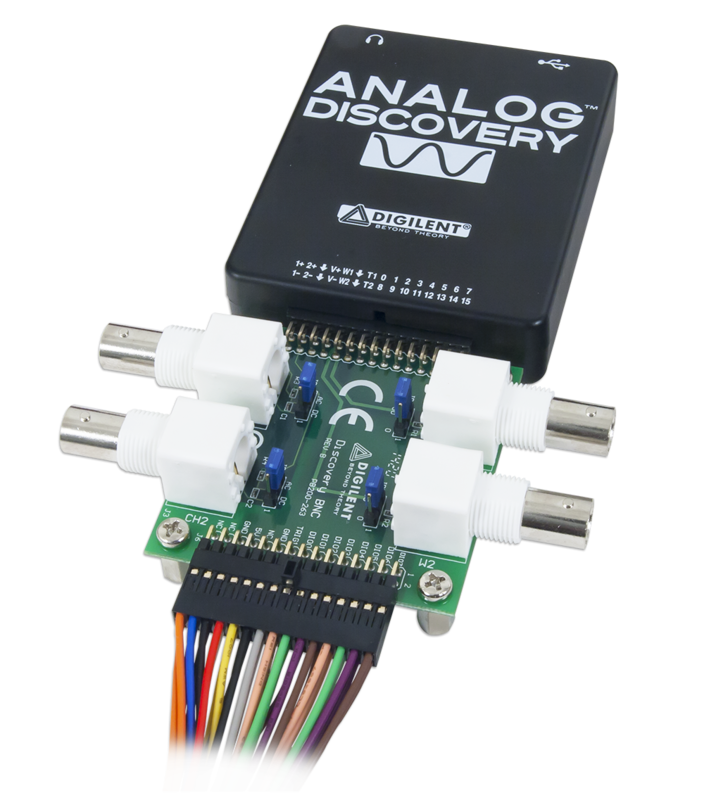 Differential scope inputs of the Analog Discovery become single-ended with the negative input connected to the ground. 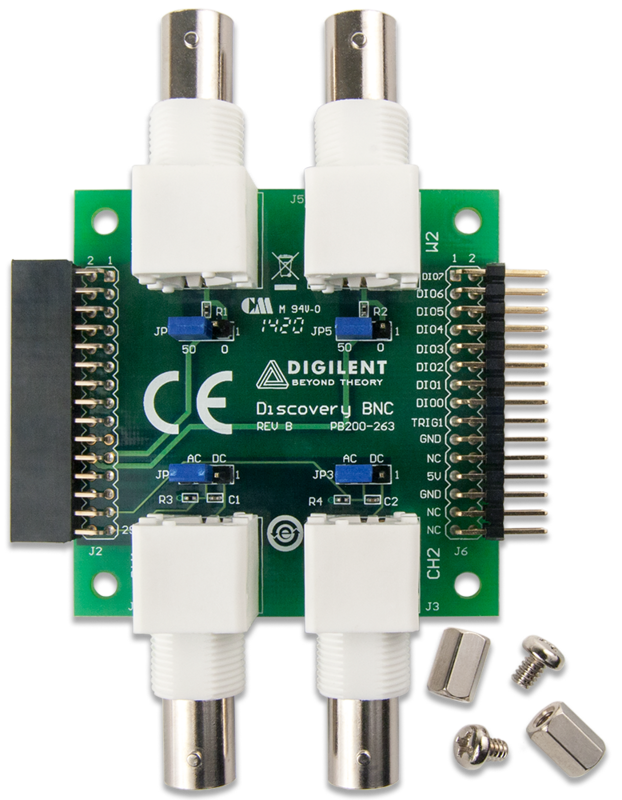 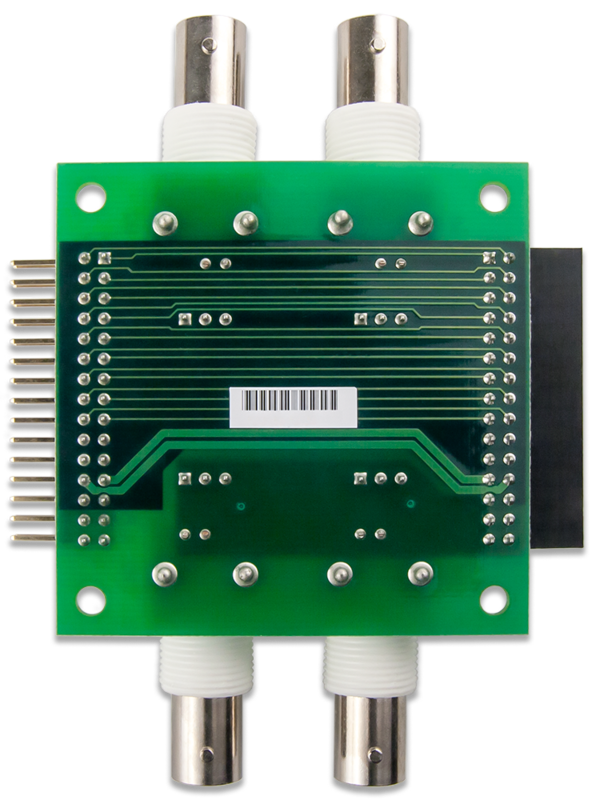 The Discovery BNC adapter board is intended to be used with Digilent's Analog Discovery tool to enable the use of standard BNC terminated test leads and probes. 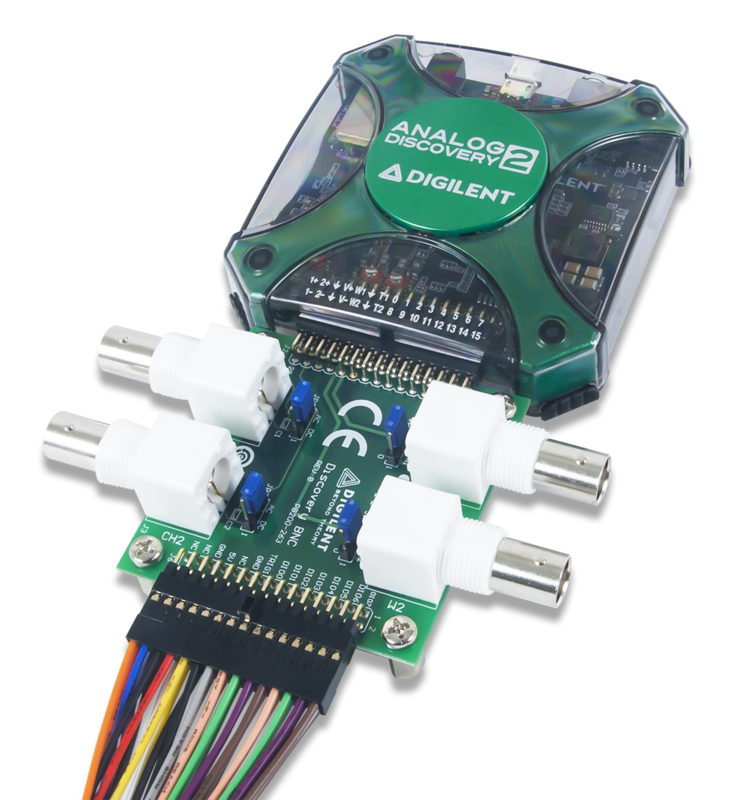 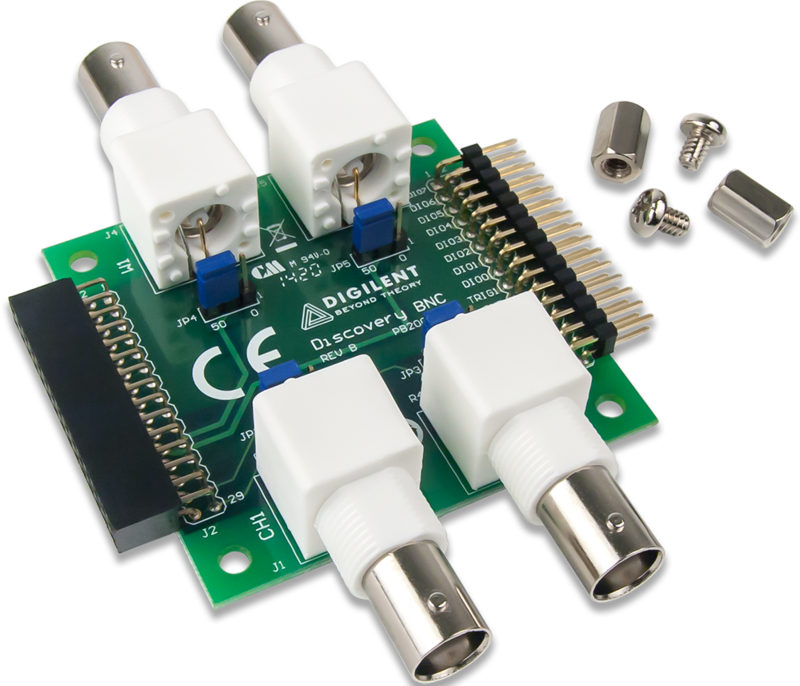 The adapter board enables the user to AC couple or DC couple single-ended signals to the oscilloscope in the Analog Discovery 2.